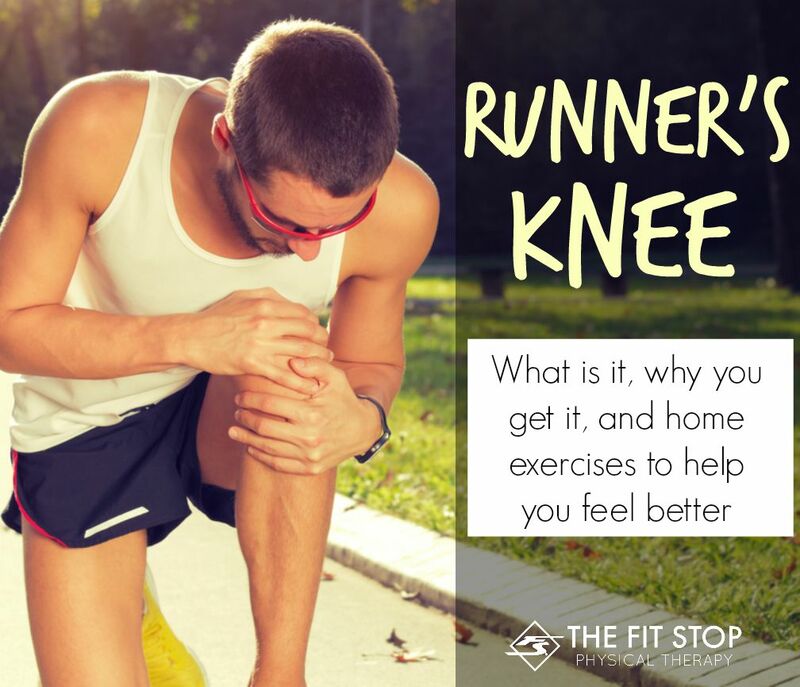 Patellofemoral Pain – Best home exercises for knee pain! “Patellofemoral pain (PFP)” may not be a familiar term, however there is a good chance you are familiar with the pain associated with this condition (especially if you are young and active!). PFP has also been referred to as anterior knee pain or chondromalacia patella. According to the journal of orthopaedic and sports physical therapy (JOSPT), PFP is the most common reason that active people seek health care. In fact, JOSPT states that 2.5 million runners are diagnosed with PFP each year. It is also interesting to note that women are at higher risk for developing PFP, and the pain is most often recurring, meaning even after the pain has gone away, it is pretty likely it will come back. Recurrence rates have been cited as high as 90%. So what is the problem? What is patellofemoral pain, why do you get it, and what are some things you can do to fix it? 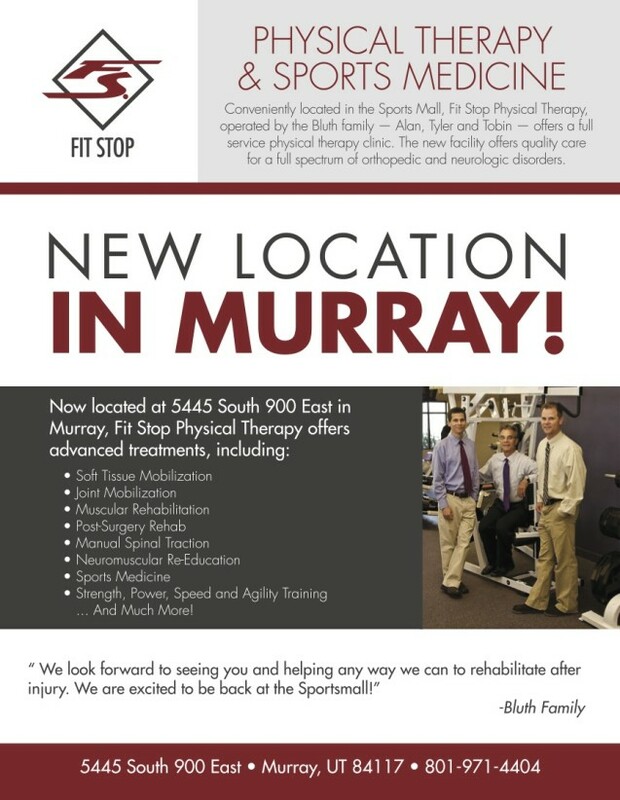 New Physical Therapy Office in Murray! 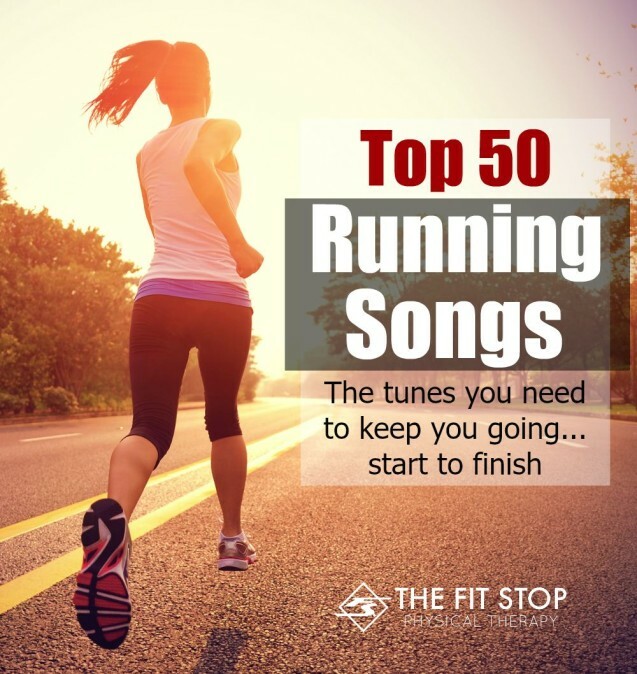 Announcing the newest addition to the Fit Stop family!! Health Insurance in the United States has been a pretty hot topic over the last few years. The Affordable Care Act, otherwise known as “Obamacare”, has been a controversial change that has made an impact in many areas of healthcare, including physical therapy (PT). With the changes, it seems that more Americans have access to affordable health insurance. However, does this insurance include coverage for PT services, and with that coverage, does in now make PT more affordable? 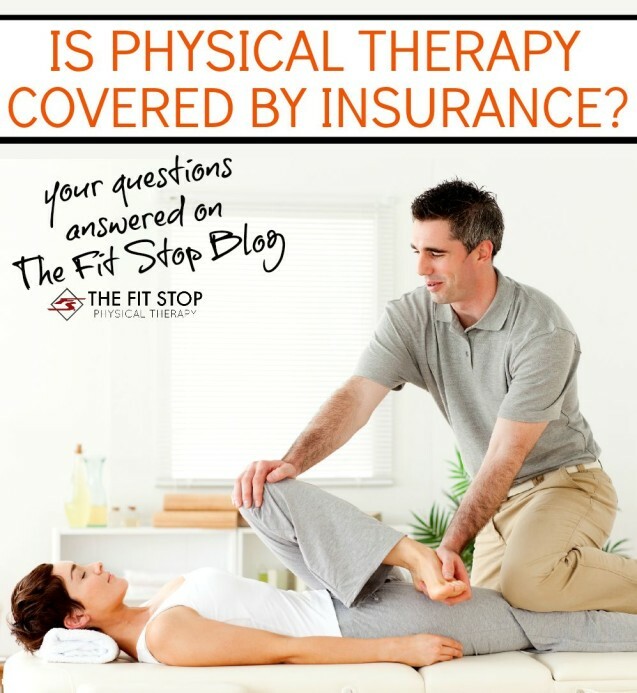 Today on the Fit Stop Blog Toby Bluth, PT, DPT, answers your questions about health insurance coverage of physical therapy. 5 Tips To Help You Sit Less And Move More! How many hours do you spend sitting each day? Think about it, between driving, work and keeping the couch cushions warm at home, it’s probably more than any of us want to admit. The average adult spends between 8 and 15 hours each day just sittin’ in a chair (check out this calculator to estimate your own daily sitting time). Couple that with a full night’s sleep and that means that most of us spend 70-90% of our lives being almost completely sedentary! In the words of Sir Charles Barkley, “that’s just turrible!” Buckle up my friend, things are about to get real. With that happy thought of how lazy we really are in mind, you’ve probably noticed the phrase “sitting is the new smoking” being kicked around the past few years. Have you really let that one sink in? 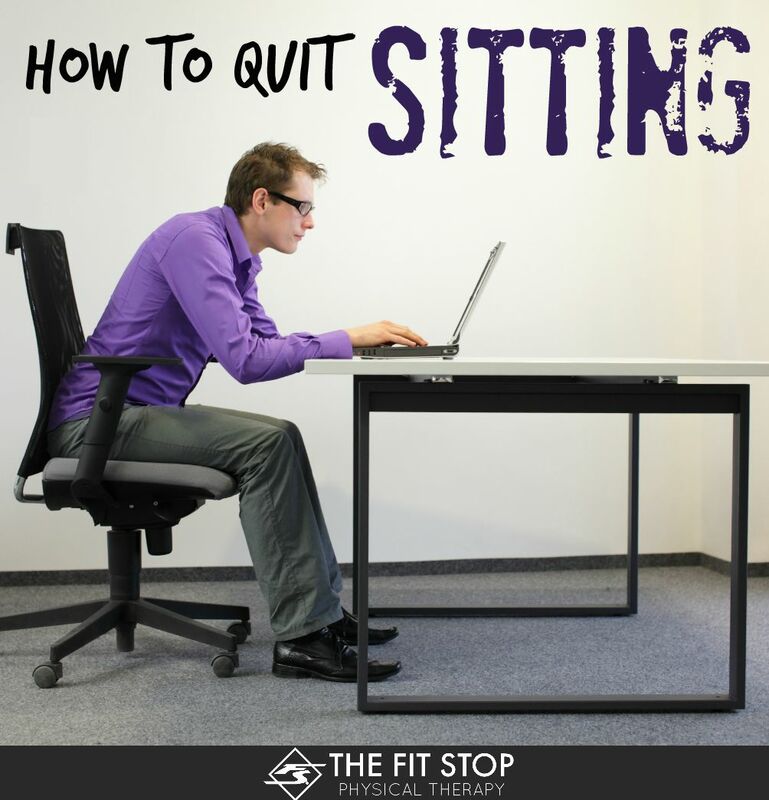 Here’s the cold hard truth; sitting is slowly killing you and like smoking, the ill effects of it appear irreversible once accumulated. So how do we fix it? Keep reading for more! Twelve years ago, our son, Tyler, was just beginning the Masters of Physical Therapy program at the University of Utah. He complained of neck pain, so an MRI was performed. 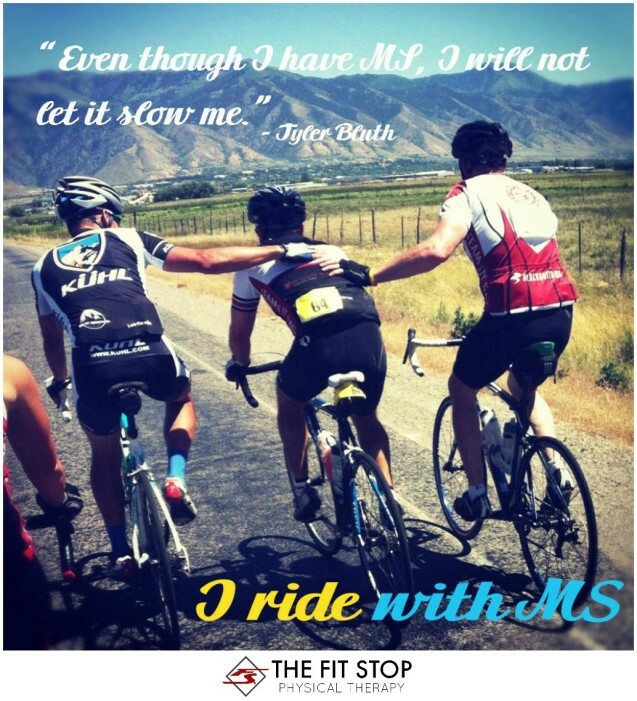 To our surprise, he didn’t have a disc injury, he had Multiple Sclerosis. Further testing revealed that he not only had lesions in his spinal column but also in his brain. This was a difficult time for Tyler and our family. We’ve all been there before. It may have been after a long run or a heavy workout. Maybe you helped your friend move into a new home or had a long day of work in the yard. You may have even just slept wrong and now it’s there. Back pain. This is, without a doubt, the most common problem we encounter in outpatient physical therapy. In fact, 9 out of 10 people will experience back pain at some point in their lives. From weekend warriors to years of chronic, nagging pain, if you’re a living, breathing, human being, you will one day experience back pain (if you haven’t experienced it you know someone who has and, I’m sorry to say, chances are that you will in the future!). So why do we get back pain? And more importantly, what are some things we can do about it? Jared Beckstrand, PT, DPT, shares some tips, advice, and even a free home exercise program to help you feel better. 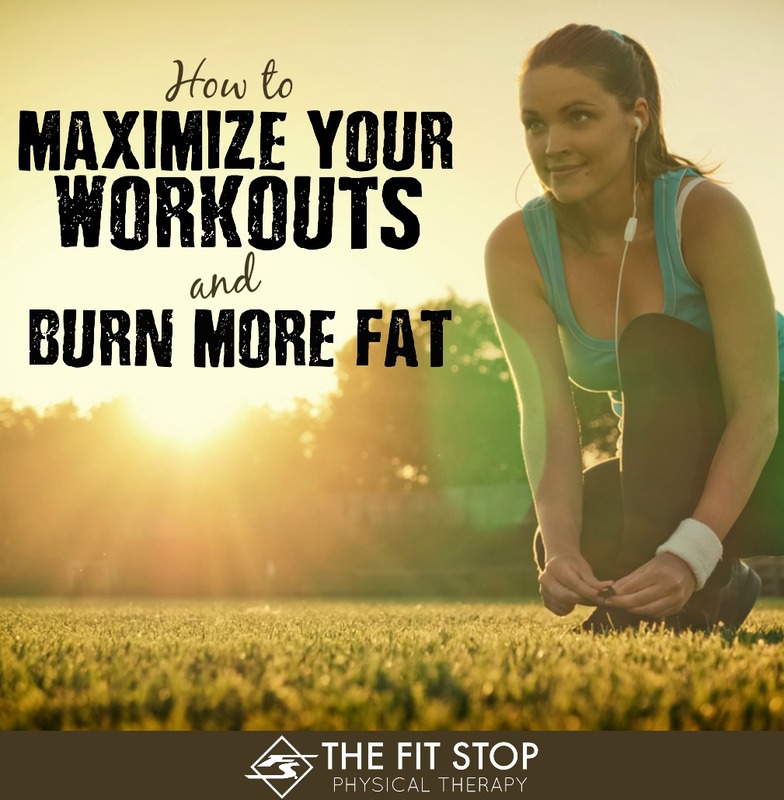 The biggest question on most people’s mind when it comes to fitness is: “How do I lose fat?” It is a fairly difficult question to get a straight answer to. Every infomercial seems to have the solution in just “minutes a day.” There are also so many trends floating around FB and Pinterest it is hard to keep up with it all. So how do we really find out what is the most effective thing for losing fat? More importantly, how do I know that it will really work for me and my body? The answer to this question is metabolic testing. In my opinion, one of the best parts about working where we do is our amazing facilities! All of our Fit Stop PT clinics sit adjacent to world-class gym facilities with literally millions of dollars of machines and gym equipment at our disposal. That being said, we get quite a few questions from quite a few gym patrons regarding various injuries. One of the most common is the shoulder. If you’ve spent any time lifting weights you know that the shoulder is one of the most-susceptible joints to injury. Today one of our shoulder specialists, Toby Bluth, PT, DPT, is sharing 5 tips to avoid shoulder pain while exercising regularly. 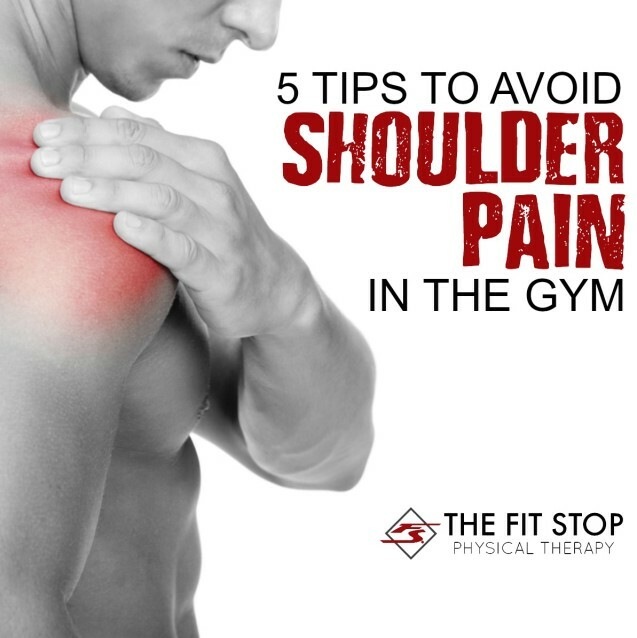 Try some of them out and see if you can help eliminate your shoulder pain in the gym!